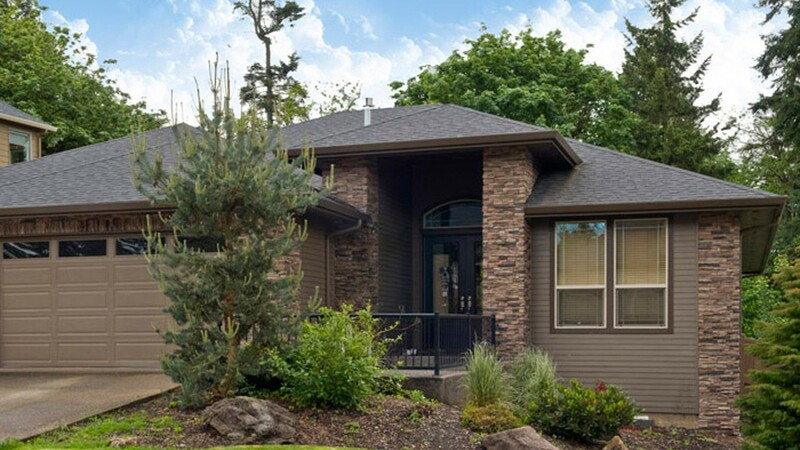 A low-slung roof line with multiple peaks and a recessed, covered entry give this contemporary home an elegant appearance. The grand interior reinforces that first impression. Throughout the main level, ceilings rise and fall from 9 to 12 feet, creating dynamism. Columns march down the gallery, defining the open spaces. To the right of the gallery, a formal dining room is adorned by an octagonal tray ceiling. Straight ahead is the great room, deserving of its name. A fireplace warms and cheers. It's flanked by built-in shelving for books and media equipment. A change in ceiling height defines the kitchen, which features an angular island, equipped with a cooktop and a sit-down snack counter. 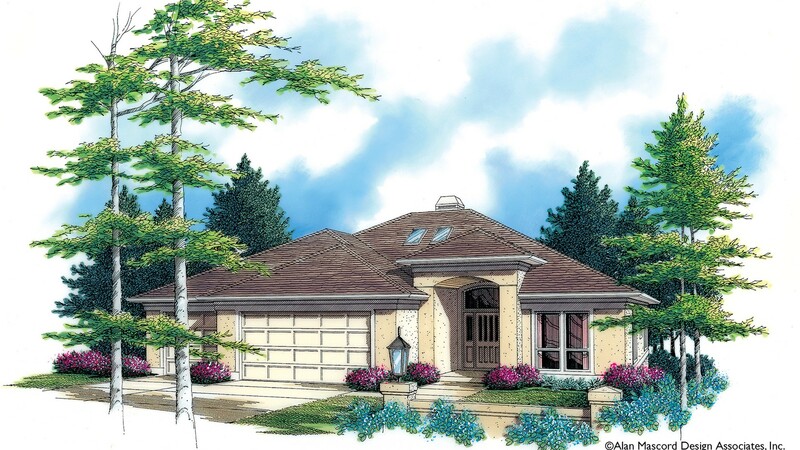 The island is positioned so the cook can view the fireplace, savor the backyard view, and visit with family in the family room. The well-appointed master suite features a privacy hallway, a walk-in closet, and a compartmentalized bath with both tub and shower. A second bedroom on this level has its own private bath. 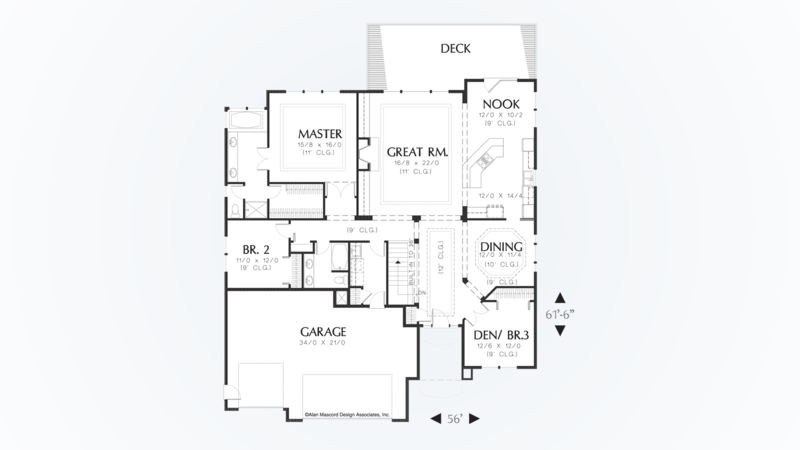 Two more bedrooms and a full bath occupy the lower level. 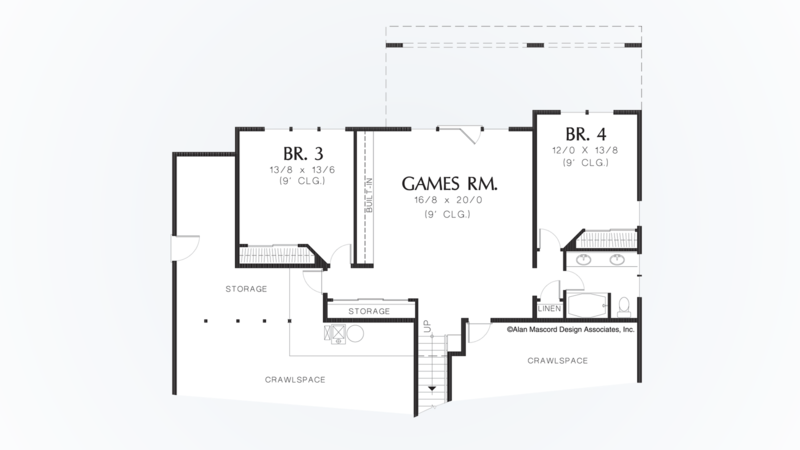 The area also houses a large games room with built-in shelving and a French door to the backyard.